Valerie Vigue grew up in Maine and attended the University of Southern Maine where she graduated with a BA in Communication. She then married and started a family of three with her husband. Valerie worked in the school system, working with students with special needs. She then went back to school to pursue her passion for counseling. Valerie attended Rivier University where she graduated with her masters in Mental Health Counseling. 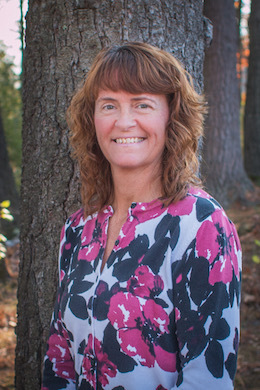 Valerie is licensed in New Hampshire as a Clinical Mental Health Counselor. Valerie has worked with individuals of all ages, including adults and elders, as well as families and couples. She has provided individual and group therapy in an outpatient as well as residential setting. She utilizes Cognitive Behavioral Therapy, Dialectical Behaviors Therapy, Solution Focused Therapy, and Behavioral Activation approaches in her work. Valerie has experience working with anxiety, depression, schizophrenia, trauma, life transitions, families, couples and other concerns.